There is a water shortage in Balochistan brought on by a severe drought in the province. Quetta along with Turbat, Gwadar and Panjghoor are among the districts hit hardest by the drought. Where lakes once flowed, getting water has now become an issue. 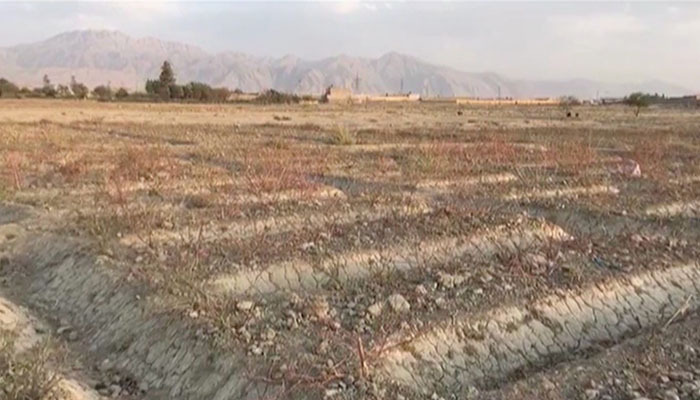 “There are nine cities of the province which are impacted by the drought,” Director PDMA Faisal Naseem told Geo News. Ministers of the province warn that the situation has become dire forcing people to leave. They have called on the government to provide much-needed assistance. “In drought-hit areas 3,000 solar water supply schemes should be provided to people for drinking water. The province should also be provided funds for the construction of dams,” MPA Sana Baloch said on the floor of the Balochistan Assembly. According to experts, there is a need to act on an urgent basis as the situation will worsen in the future.